I can hardly believe we are in the latter part of January already, this year seems to be passing so quickly already and we have hardly had time to catch up, how have you been? Did you make New Year’s resolutions? Are you sticking to them? So many questions that could be asked. On the subject of New Year’s resolutions did you make one to read more? Or to just sit back and have some more you time? 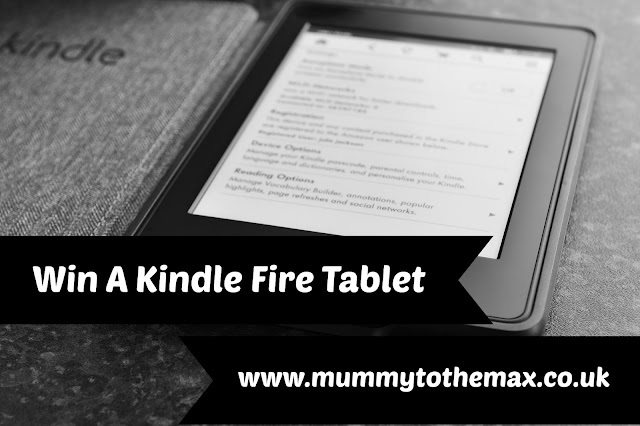 Would a Kindle Fire help? What would the first thing you do with this Kindle Fire Tablet be, if you were the lucky winner? My New Year's resolution is to learn Chinese so I would use it to make studying easier when at home or on the move. Get some books on it! Most definitely read a book. I would download some books for myself. Download some books from my very long wishlist! Download a few essential apps and games such as Words With Friends, Ticket To Ride and Catan. I love board games but frequently don't have anyone to play with. I would download some books!